It’s scary to learn that the Greenland Ice Sheet has lost a “staggering” 9 trillion tons of ice since 1900. 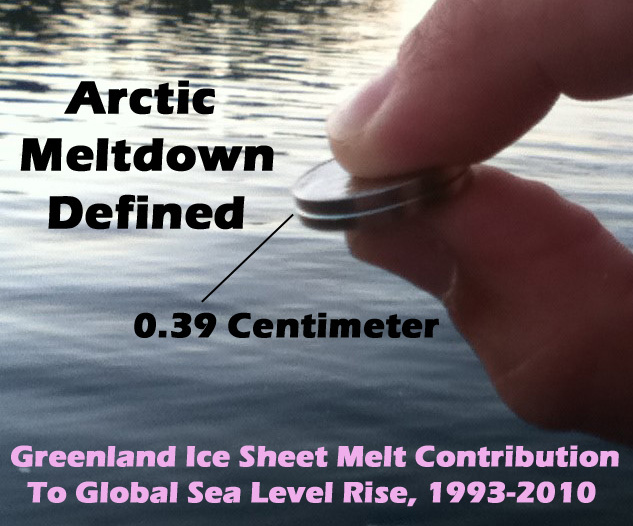 It’s not scary to learn that 9 trillion tons of ice losses actually amounts to less than 1 inch (0.6 of an inch, or 1.5 centimeters) of sea level rise contribution from Greenland meltwater since 1900. So what does a world-renown news organization like the Washington Post do with this contextually-weighted scientific information? 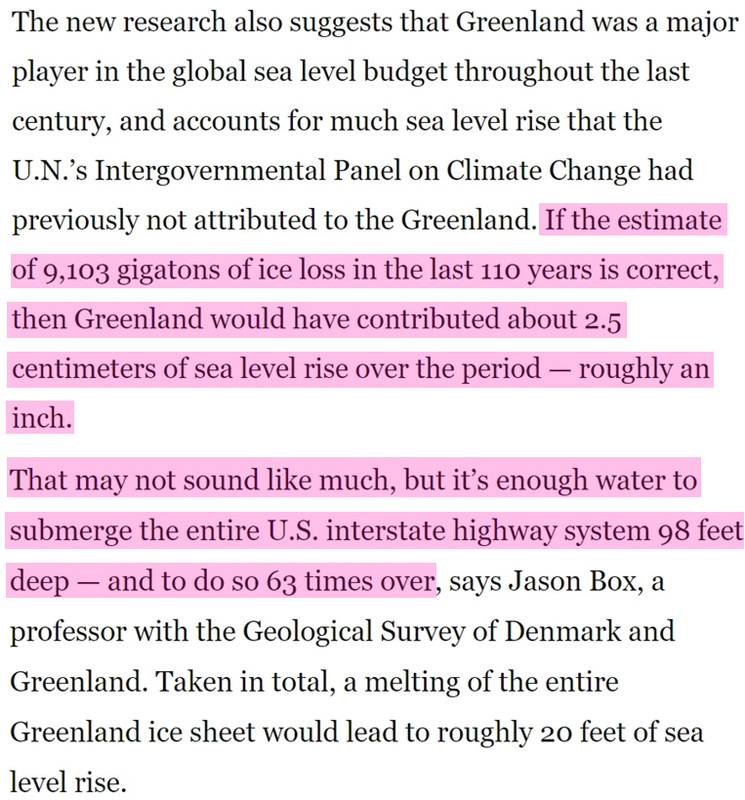 Of course, like most other media organizations in the modern era, the Post attempts to frighten the public with disturbing trillions of tons of lost ice exclamations without emphasizing the modest and nearly imperceptible sea level impact such “staggering” ice losses produce. In December, 2015, the Post‘s Chris Mooney summarized “Greenland’s massive, centennial contribution to sea level rise”. It is apparent from reading the article that Mooney is either (a) unaware that less than 1 inch of long-term sea level impact is not “massive”, and therefore using that descriptor in conjunction with trillions-of-tons of ice loss can be misleading, or (b) he is aware that less than 1 inch of sea level impact in 110 years is not especially alarming, so he buries this inconvenient detail in the body of the article and instead he focuses on employing terms like “staggering” and “massive” and “trillions” and “disturbing” and “alarming” in an effort to conceal. It would appear that (b) is more likely. And then, to pile on another thought experiment, Mooney adds the obligatory “if the entire ice sheet were to melt” conjuring so he can mention that “20 feet of sea level rise” is what’s at stake here. One inch in 110 years isn’t enough to garner attention, but 98 feet (times 63) of submerged U.S. roads and global coastal areas is quite the scary scenario. 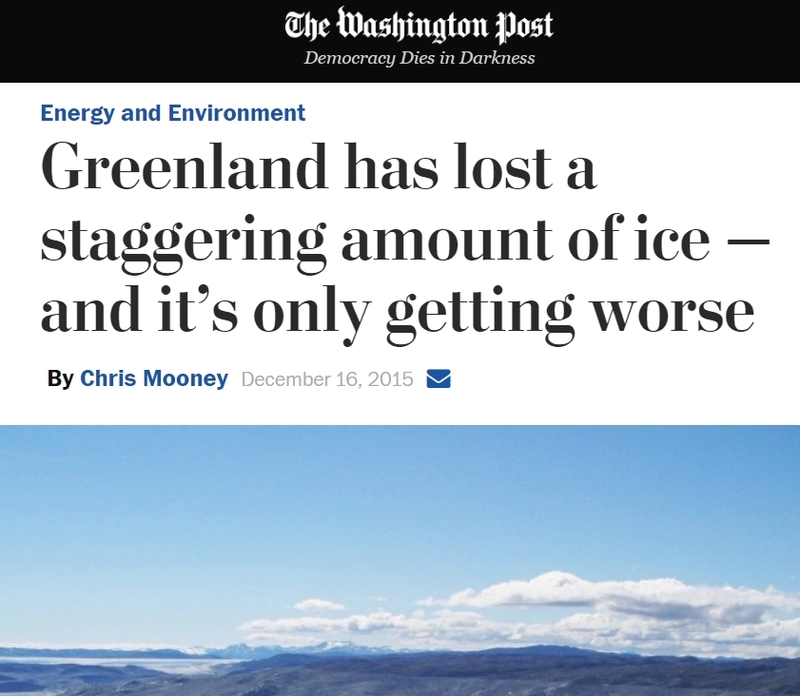 The Washington Post employed this same misleading and diversionary strategy about 8 months later, again relying on the “9 trillion tons of ice” lost study to scare readers.